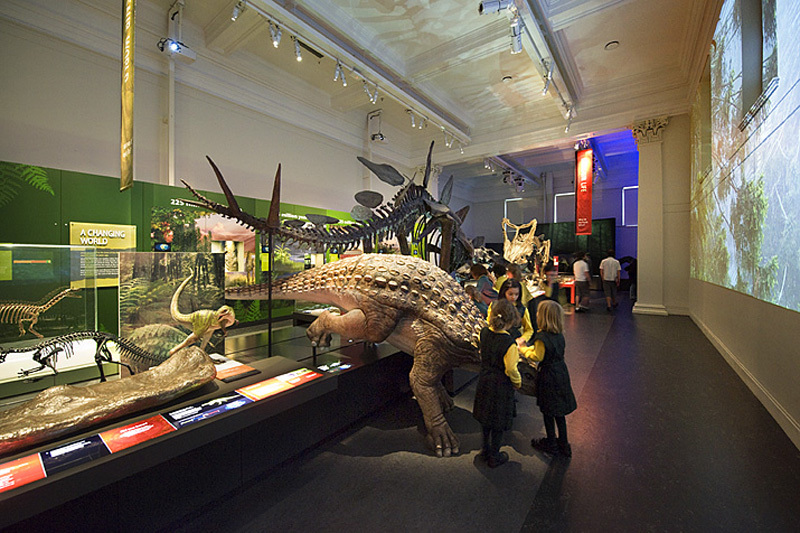 Dinosaurs offers visitors a new look at a museum favourite. 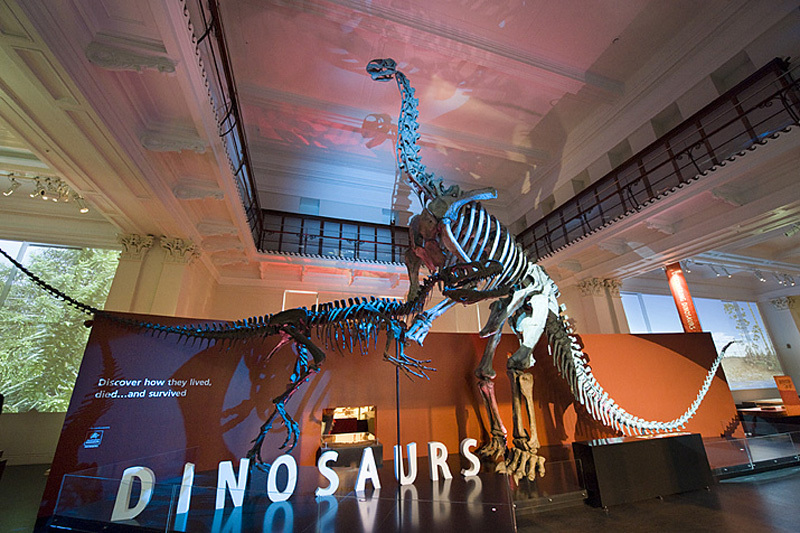 The innovative design reveals the original heritage fabric of one of the Australian Museum’s earliest buildings and brings to life the largest of its natural history artifacts, the casts of dinosaur skeletons. 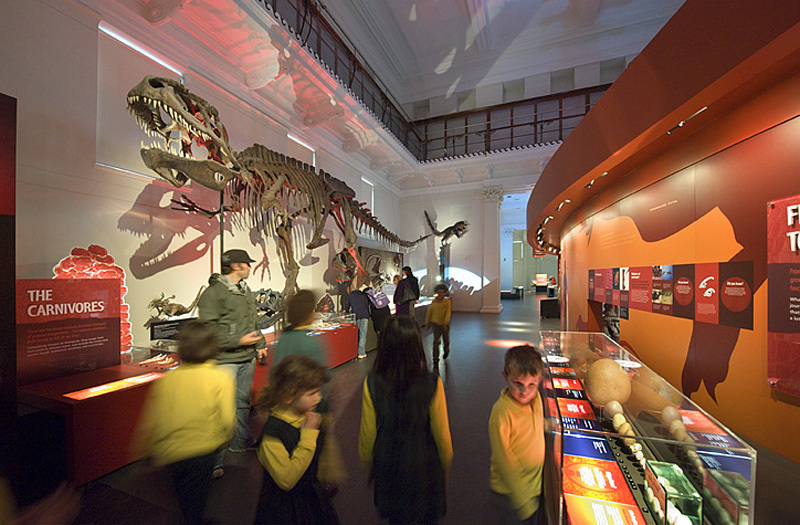 A series of simple, central forms act as a stage for the displays, incorporating graphic and interactive elements, enclosed within the drama of moving projected skeleton shadows. 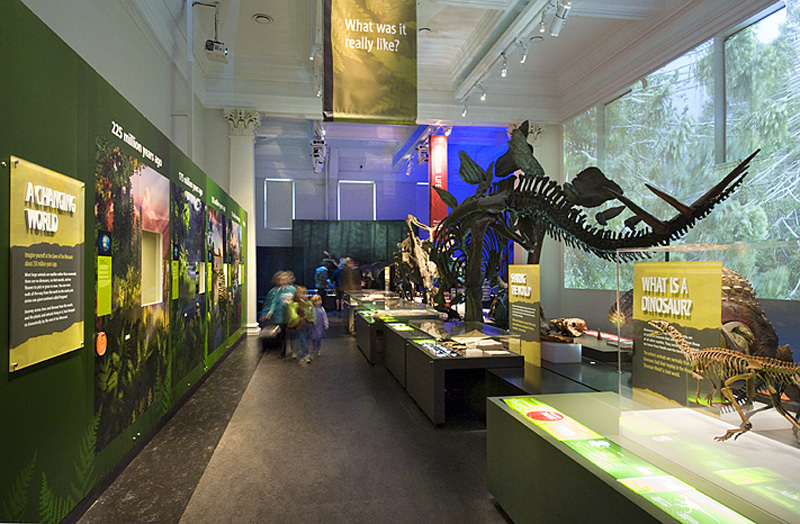 Large-scale video and computer-generated scenarios projected onto the heritage walls add authentic context to the specimens, immersing the visitor and evoking the landscape in which these creatures would have lived and died.